With the entire nation in a state of shock after news came out regarding iconic actor Sridevi Kapoor’s death, there have been reports now doing the rounds about her final moments before she passed away in Dubai. According to reports, Sridevi, 54, is said to have fainted and gone into a state of unconsciousness while taking a shower before getting ready for dinner. It is said Sridevi’s husband Boney Kapoor had flown in from Mumbai to Dubai to surprise her at the Jumeirah Emirates Towers Hotel. He had surprised her by visiting her at the hotel and then planned for a dinner thereafter. Reports state Boney Kapoor was waiting outside when Sridevi had gone to the washroom to get ready. However, there had been no response for nearly 15 minutes and that is when Boney is said to have gotten suspicious about something awry. He immediately broke open the door to find Sridevi still and motionless in a bathtub filled with water. Boney is then said to have tried to resuscitate her, but was met with failure when she didn’t react or respond. 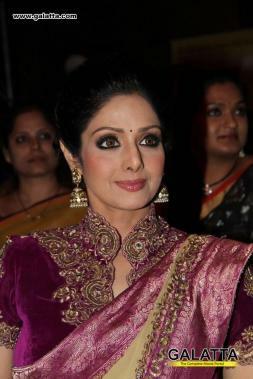 The police was then informed and arrived shortly thereafter and Sridevi was rushed to the hospital in quick time. However, their efforts ended in vain when it was announced she had passed away.